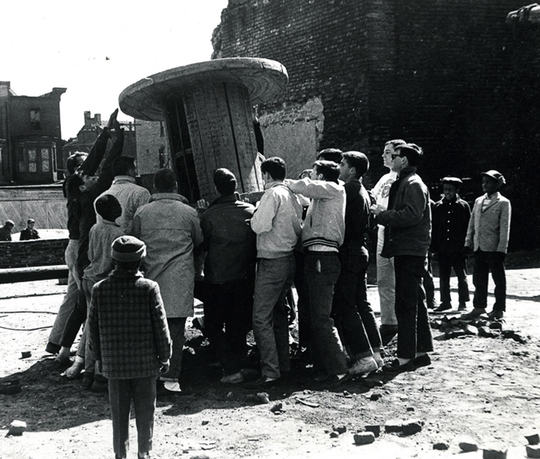 Students from the Neighborhood Renewal Corps of the University of Pennsylvania build play equipment from reclaimed materials, 1961, Philadelphia, PA. Karl Linn Collection, Courtesy of Environmental Design Archives, University of California, Berkeley. Historically, architecture was an elite profession accessible only to those with means. In the twentieth century, many American architects reconsidered the profession's ethical responsibilities, especially in relation to disadvantaged communities. 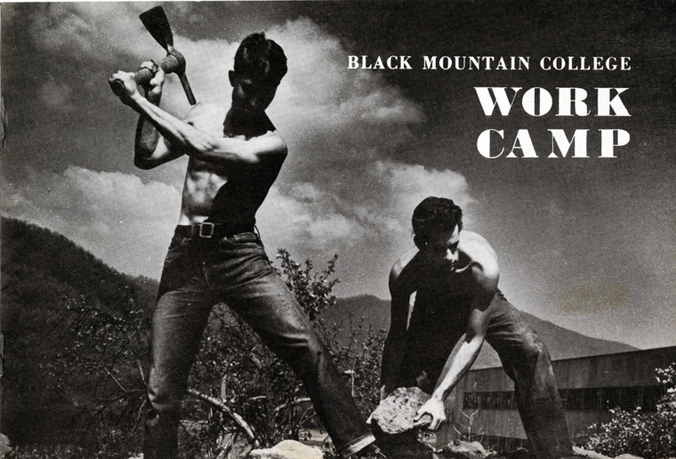 Community design-build is an umbrella term for programs in which architectural educators lead students into disadvantaged areas to physically construct designs for community use. This dissertation investigates the way architects invoke ethics in a situated analysis of this model of practice. 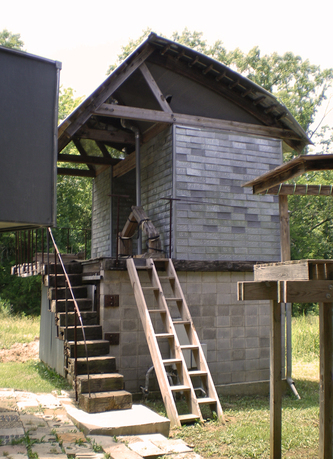 Educators argue that in this "win-win" scenario, students learn building techniques while providing a service to a neglected community. The goal of this dissertation is to investigate the genesis of this practice to understand what motivates architects to pursue it at particular historical moments. In three significant cases, the project unpacks how educators couple physical construction with ethical frameworks to link the profession to citizenship, participation, and social justice and in so doing, how they produce visions of professional identity. Anna Goodman is a PhD candidate in the Department of Architecture at the University of California, Berkeley, College of Environmental Design. Since graduating with a BArch from Rice University in 2006, she has worked to understand how architectural practice is embedded in larger social and economic systems. Her research explores the pairing of technical expertise and social value, focusing on community design-build as a model of ethical and professional practice. Using a combination of archival and ethnographic methods, she investigates design-build as performance, knowledge production, and politics. In so doing, she brings to light the tensions that arise from the institutional structures that organize architects' social contributions. Her work builds on studies of race, welfare, and housing in the United States and expands the geographical range of architectural scholarship to include the American South and other geographies typically considered peripheral to the profession's development.